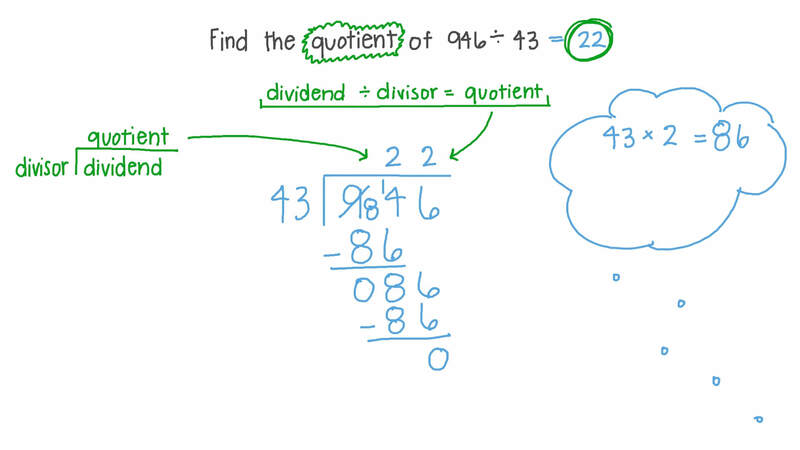 In this lesson, we will learn how to find quotients and remainders of dividing numbers up to 3 digits by 2 digits. Find the quotient of 9 4 6 ÷ 4 3 . 1 8 ÷ 1 5 = . 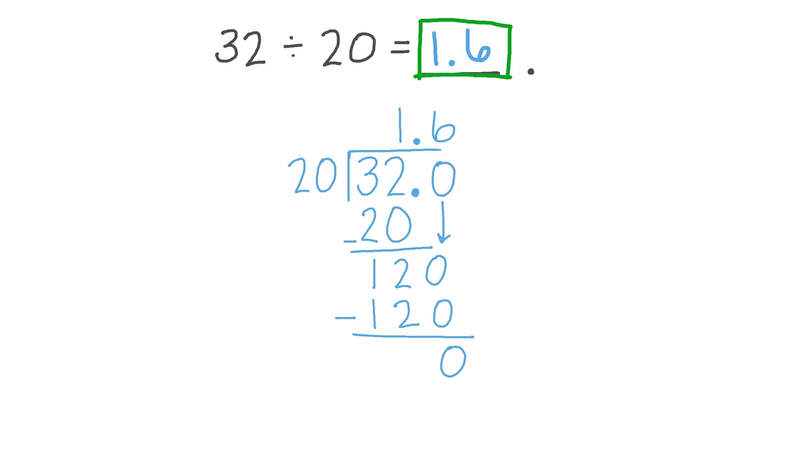 Find the quotient of 2 6 0 ÷ 5 2 . Find the quotient of 4 7 2 ÷ 5 9 . Find the quotient of 1 6 8 ÷ 5 6 . Find the quotient of 1 1 2 ÷ 5 6 .